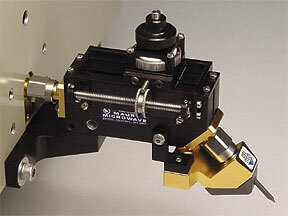 The MT902 series of pre-matching tuners are highly stable, low loss wafer probe mounts used in on-wafer device characterization applications. 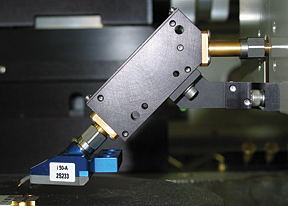 By extending a wafer probe away from the tuner body, these mounts create additional clearance for proper probe alignment. The ultra-high stability inherent in their design eliminates the possibility of undesired movement during operation.